Foreign investors do like Australian property, driven by the stability and growth potential in our real estate. While parts of the globe have witnessed flat or reduction in property value, the Australian market performs well in the long term. 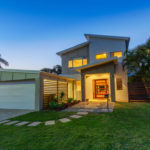 As many seek to find safe places to invest, few opportunities are emerging that can rival the Australian property market. 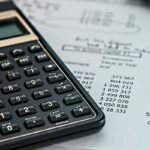 The pricing for Australian properties does not fluctuate like they have been known to do in other international markets. Other regions, such as the United States have endured housing crashes that have dropped prices to 30 per cent of the original value in a matter of weeks. Australia has been able to maintain a stable real estate environment over long periods of time; however, even our market has seen property values drop when the cycle hit the downturn such as in the 2009 Global Financial Crisis. When it comes to location, few places on earth can match what Australia offers in terms of geographic and cultural diversity. The various regions offer something for every interest. New South Wales (NSW) is a region that stretches from the enviable coastlines to the mountains and countryside and is home to the iconic city of Sydney. Victoria (VIC) and its capital Melbourne is one of Australia’s biggest cultural and sporting hubs and the long, coastal region stretches to Australia’s premier wine state, South Australia (SA). Western Australia (WA) boasts a pristine coastline along the Indian Ocean and is the mining capital of Australia. Queensland (QLD) is known for picturesque beaches and coral reefs and as an appealing holiday destination. The Northern Territory (NT) offers the great outback, which is a staple of every Australian trip. Tasmania (TAS) is the wilderness state and a nature lovers paradise. Australia is a vibrant and diverse country, both geographically and culturally. It is the world’s smallest island but its largest continent – comprising of six states and two territories and is home to over 24.13 million people. Most of Australia’s population is concentrated in two widely separated coastal regions in the east (New South Wales, Queensland) and south-east (Victoria, South Australia) – and the smaller of the two regions is in the south-west (Western Australia) of the continent. In both coastal regions, the population is concentrated in urban centres, particularly the State and Territory capital cities. New South Wales is the country’s most populous state, and Sydney is the most populous city.